Is Trusting Your Gut the Right Thing to Do in Business? Throughout the years, I’ve made plenty of mistakes. I don’t often stress out over these mistakes because overall they have helped me in some way or another. I’ve learned how to be a better entrepreneur. What things to do more of, and what things to do less of, and over time they have shaped me into the person and entrepreneur I am today. All too often, we view mistakes in a negative light, but I prefer to celebrate the mistakes I’ve made. Without them, I wouldn’t be here producing my podcast, Success Unfiltered or any of my other work. So, before we go any further, take a moment to shift your mindset around your mistakes. Maybe you start considering them blessings in disguise. Alright, now that we’ve done that, the reason I bring up mistakes is that so often, when we are making these mistakes we aren’t trusting our intuition, or our gut feeling towards things. One mistake that I made, that at the time, I didn’t even realize was a mistake, was not taking the time to truly develop the brand behind FITzee Foods, specifically with our protein bars. I had that gut feeling that we needed to do more, but I never took the time to actually explore that feeling & intuition. I just kept moving forward trying to increase the growth of FITzee Foods. When FITzee Foods closed and I realized that one thing that could have helped it was having more appealing branding, I ensured I never made that mistake again in any future business I have. Investing in branding is a key ingredient. I LEARNED from that mistake! 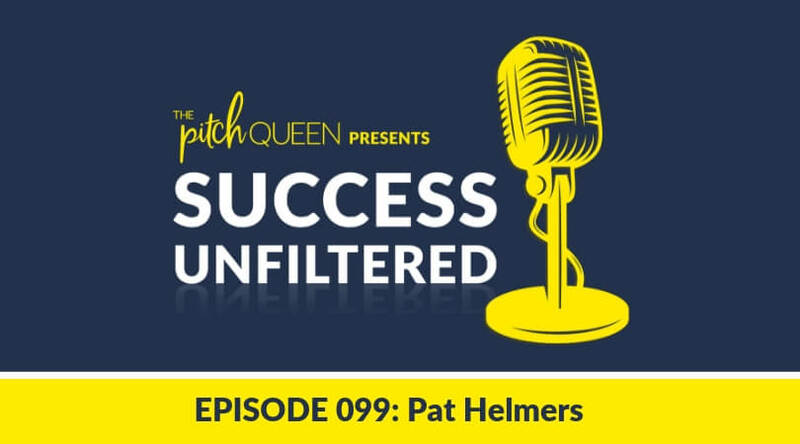 When I created The Pitch Queen, I spent a great deal of time focused on my branding, before I even launched. I knew that if I was going to be in the online space, as a service-based business, my brand needed to be eye-catching and cohesive. Not to mention, that zero’ing on my messaging and the look and feel of what it was going to represent, was also key. Fast forward and these days, I frequently have people telling me that they love my branding, and how put together everything looks. When we were developing the branding elements, I worked closely with my designer to ensure that we were consistent. We use the same fonts across all of our documents and images. My logos match everywhere. And, we decided on six colors and we stick to using ONLY those six colors in any Pitch Queen elements. Your branding is who you are. It’s what your clients and customers see. So, please don’t skip this step! As an entrepreneur, decisions need to be made frequently. We’re constantly having to decide whether we should bring on a client, whether the colors for our brand are right, or any other number of things. But, how often do we ever STOP and actually consider how we’re feeling about a decision. We usually just listen to our brain. A guest on Success Unfiltered, Lizzi Ackerman, is a prime example of this! She actually struggled with the branding of her products, similar to how I did with FITzee Foods. Lizzi shared with me that one of the biggest mistakes she made with her company Birch Benders was not trusting her gut about packaging. So many of Lizzi’s associates were telling her that the packaging for her waffle and pancake mixes was too crazy and too busy for conventional retailers. These same people encouraged Lizzi to “dumb down” the packaging. Since the people that were giving Lizzi this advice were people she trusted, they went and changed all of their packaging. Unfortunately, the magic that they were experiencing in people loving and purchasing the Birch Benders’ products died down. The packaging wasn’t working! Lizzi started asking her husband (and business partner) why they had done that. Lizzi and her husband loved their quirky, weird packaging, why would they turn their back on what they loved? It was a costly mistake because they had to replace all of the “calmer” packaging they had purchased, but as soon as they went back to what their customers loved, sales began to lift again. Lizzi vowed to never change her crazy and fun branding ever again! You’ve got to stay true to your brand. You can’t let other people tell you what it should be or how to change it. If it’s working, it’s working! Leave “well enough” alone. Many times, when we make changes based on others thoughts or feelings, without having any regard for our own feelings, it’s because we don’t trust our own intuition. It’s an opportunity for you to look into and put a stop to. I’ve been there before. It can be scary to tune in to how YOU’RE feeling, and trust that. You start thinking about all that could go wrong if you go with your gut. But, let’s try shifting our mindset, and start thinking about all that could go RIGHT! For instance, if Lizzi had trusted her gut on her packaging, and left everything alone, they never would have seen a dip in sales, nor would they have wasted money on additional packaging that didn’t work. Now’s the time to shift our focus to the positive and start thinking of all that WILL go right! Honor your instincts and stop pushing them off like they’re not real. They are! And, they often have your back! Please remember, that just because someone comes along and tells you to do something different in your business, even if they’re an expert, and your gut is loudly shouting NO NO NO, you don’t have to listen. You know (and your gut) knows your business best. Trust your instincts and watch your success soar! Have you ever experienced a time when you ignored your intuition and regretted it?